Approximately 85% of the County’s land is zoned Rural Agricultural Conversation (RAC) making agriculture a significant part of Isle of Wight County life, both as a major industry and as a chief component of the County’s rural character. Agriculture and forestry exports were valued at $2.68 billion in 2017. 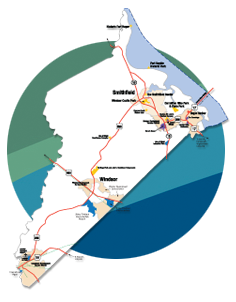 This is exciting news for Isle of Wight County where agriculture and forestry are among the County’s target industrial sectors. The top export products for the state were soybeans and soybean products, lumber, logs and wood pellets, pork, tobacco, and poultry. Montague Farms, a soybean producer, buyer, and exporter of natto soybeans to Korea is located in Windsor. Isle of Wight is fast becoming the agriculture hub for Southeast Virginia because potential agriculture ventures and expansion opportunities feel confident in the County’s commitment to the agriculture industry. 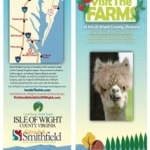 Isle of Wight County is home to a variety of agribusinesses including national companies such as International Paper and The Scoular Company, Virginia companies such as Montague Farms, Franklin Lumber and Commonwealth Gin and a number of local horse farms and farm operations that produce farm fresh products, ham, peanuts, hay, Christmas trees and more. The award-winning Smithfield Farmers Market is proud to be a Virginia Grown market offering locally grown produce, beef, pork, chicken, eggs, peanuts, plants, herbs, baked goods, coffee, cheese, honey, barbecue, wood-fired pizza, ham sandwiches, handcrafted items and more!